For those of you wanting detailed floor plans of our new bus conversion we have made them available to purchase for $50. They include detailed dimensions of the bus. They do not include plumbing or electrical diagrams. What did bus cost to finish? Nice conversiom. Interested to know what software you made 3d views/floorplan with. Looks like it works great for your needs! You did a GREAT JOB!! I have questions where do I ask them? I have so many tech questions on what I can do? can your help me? 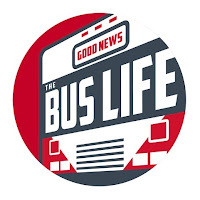 You can email us at info@goodnewsbus.com. Also, we blogged our entire project. You can find it by clicking the “start to finish” page.